March 11, 2019 by Roshni Foster, M.D., Ph.D.
Spring is just around the corner. Sunny blue skies and the crisp, fresh air outside beckons. It is a beautiful time to be outdoors, watch the kids play and enjoy Mother Nature’s renewal. But for many, Spring is also the time of suffering from seasonal allergies. 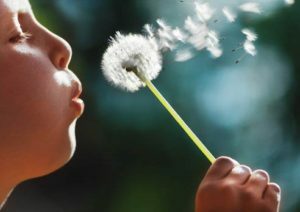 Allergic rhinitis or hay fever affects about 60 million people in the United States, including children and adults. The immune system overreacts to pollen grains that enter the nose and causes inflammation, resulting in familiar symptoms such as sneezing, sniffling and watery, itchy eyes. In the Spring, the culprit is usually tree pollen, and in Denton County, those trees include Elm, Ash, Juniper, oak, pecan, hackberry, maple, mountain cedar and mulberry to name just a few. Winds from the south and southwest carry pollen into North Texas. Dallas was in the top 20 cities with the highest pollen counts in 2018. Early reports indicate that the tree pollen counts will be moderate to high and that the spring pollen allergy season is on the horizon. Stay inside midday and during the afternoon, when pollen counts are highest. For many of us, Spring is also the time for rejuvenating our gardens, planting flowers and sprucing up our lawns, which can be difficult if you suffer from allergies. If you like to garden but suffer from allergies, wear a mask, gloves and oversized sunglasses and then shower and shampoo after being outdoors on high pollen days. Start early. If you have spring allergies, start medications a few weeks prior to when the season starts. This will help reduce your symptoms even before allergy season starts. Allergy immunotherapy or allergy shots “immunize” the body like a vaccine, decreasing sensitivity to allergens by delivering small amounts of the allergens to allow your immune system to become tolerant. Over time, allergy shots can cure your allergies or make them much more comfortable with little medication. SLIT, also known as allergy drops or sublingual immunotherapy is a treatment in which allergy drops are placed under your tongue. They can be done at home and help decrease your allergy symptoms in a way similar to allergy shots. Medications. An intranasal steroid such as fluticasone or triamcinolone can help decrease nasal and eye symptoms. The use of over-the-counter antihistamines like cetirizine, fexofenadine, levocetirizine, and loratadine may be helpful as well. The use of antihistamine eye drops can decrease itchy and watery eyes. Don’t let seasonal allergies prevent you from enjoying this Spring or the outdoors. 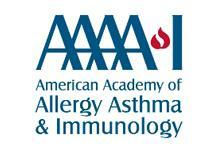 One of the most effective treatments is allergen immunotherapy or allergy shots or allergy drops. They get to the root of the problem and provide long-lasting relief. Our board-certified allergists at North Texas Allergy & Asthma Center can help determine what you are allergic to and help you get a handle on your allergies. We can do a simple skin test and advise you on allergen avoidance, tailor a medication plan just for you and recommend allergy shots or allergy drops. Don’t suffer. Come see us and enjoy the Spring season!